Medium Rare has one of the most diverse selections of sausages I've ever come across in an independent butcher shop. Or almost any shop, come to think about it. You'd think a butcher of this size might have two, maybe three different house-made varieties, leaving the rest of their innovative attention to the other meats behind the counter. But no, this place seems to take special pride in its house-made selections, stocking just a few sealed packages of each variety for customers to take home and enjoy. Consider this list completely non-exhaustive, but among the offerings when I stopped by were venison and forest fruit sausage, country truffle and boar sausage, and honey chipotle sausage. There's also turkey and sundried tomatoes sausage, apricot chicken curry sausage, prime rib sausage, the "Great Polish" garlic sausage, and sweet Spanish chorizo. 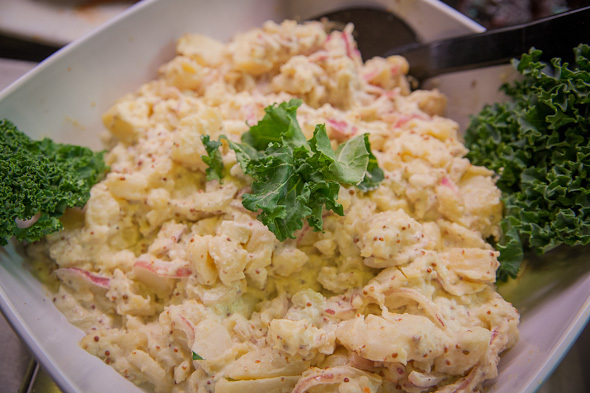 Plus much more, of course (priced generally between $9.95 and $19.95 per pound). 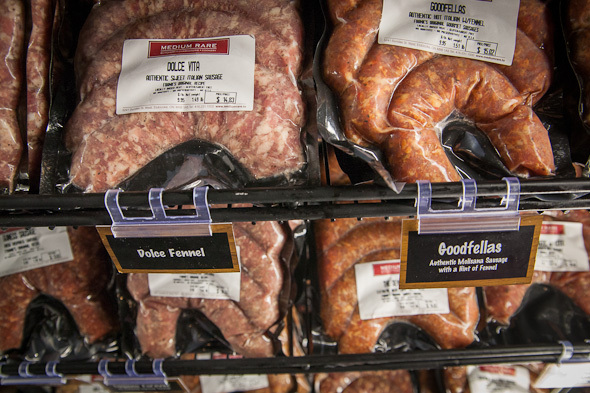 In total, Medium Rare offers close to 60 different house-made sausage varieties, all of which are made without wheat, other glutens, preservatives, or additives. And each package comes labeled with "Frank's original recipe." 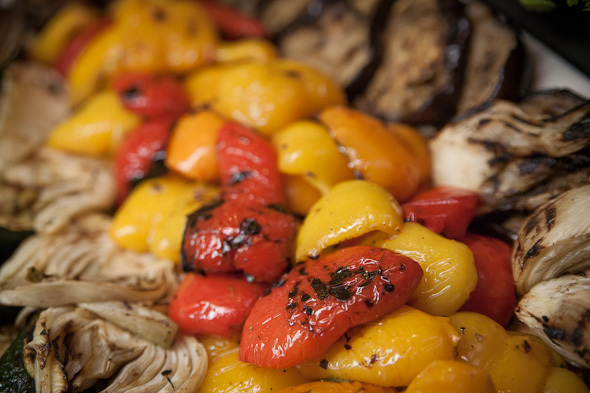 Medium Rare was originally opened by Frank Del Gobbo, who had worked in Toronto's food industry since the age of 12. 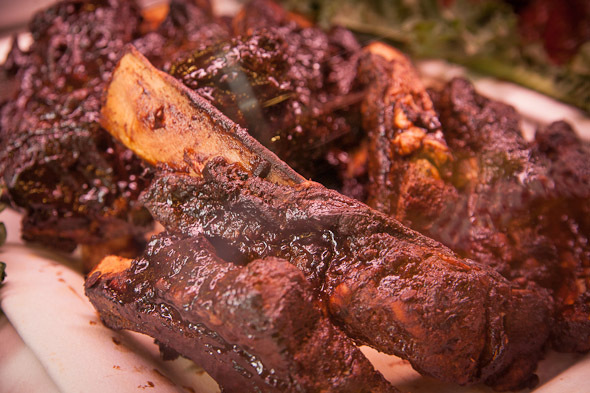 He opened his first "Meat Boutique" at the age of 25, a shop that he later sold to pursue international travel. 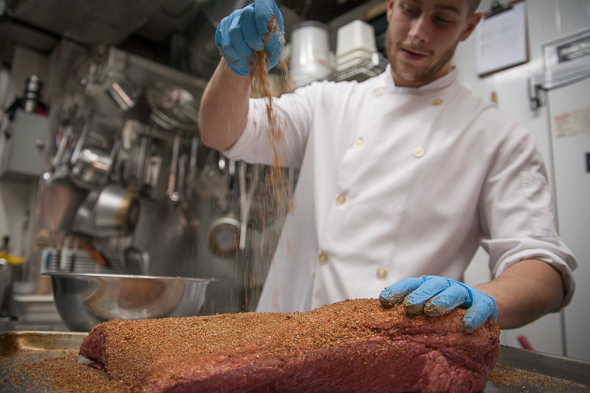 A few years later, and equipped with some newfound global food expertise, Frank opened Medium Rare here on Dundas West. Sadly, Frank passed away last summer at the age of 39, but his legacy has certainly survived in this beloved Etobicoke shop. 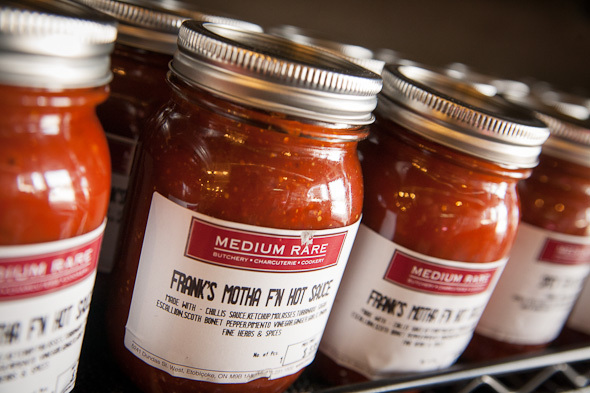 Now operated by Frank's family including his sister, Connie, and head butcher, Angelo, Medium Rare remains committed to naturally raised meats and premium aged selections. 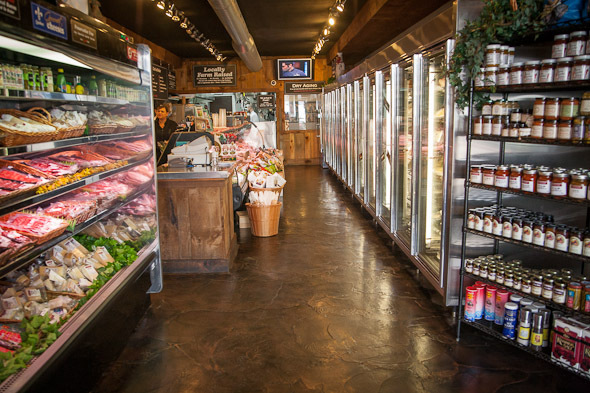 The focal point of the shop is certainly its cooler with dry aged beef, which makes for succulent rib eyes, strip loins, porterhouse steaks.and more, which are aged between 35 and 60 days. 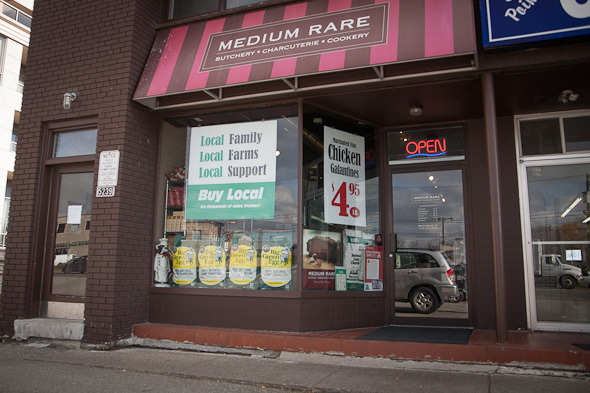 Beyond its aged beef, Medium Rare has garnered some faithful local fans for its charcuterie, which include double smoked bacon (made with locally raised Berkshire pork), Cajun turkey breast, and rare roast beef, all made preservative-free and with locally raised meats. 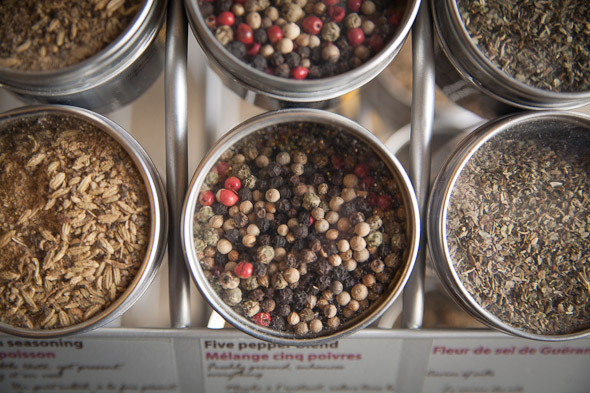 The shop also has a few can't-find-just-anywhere options, such as milk- and grass-fed veal from Quebec, and a changing selection of game meats, which can include bison, rabbit, caribou, and wild boar. And speaking of "can't-find-just-anywhere," I hear wild boar with prunes and cognac sausage is set to reappear on Medium Rare's shelves. Another trip out to Etobicoke is surely in order.